Best Job Ever (2016) is a guide to making the career change you need to be happy with your professional life. These blinks walk you through the difficult process of switching jobs, changing fields and trying something you’ve always wanted to do, but didn’t know how to start. 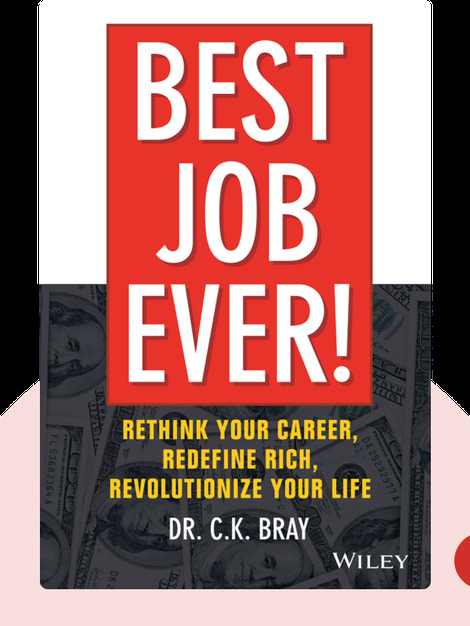 Dr. C. K. Bray is a career coach who used to work in the corporate world until he realized he was chasing other people’s dreams. Now, he helps people define and achieve their professional goals. ©C. 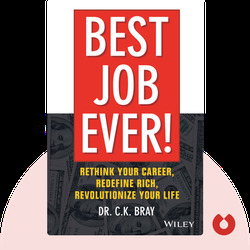 K. Bray: Best Job Ever copyright 2016, John Wiley & Sons Inc. Used by permission of John Wiley & Sons Inc. and shall not be made available to any unauthorized third parties.